Srixon says its new AD333 Tour ball, which we were afforded a first look at in sunny Orlando at the PGA Show two weeks ago, heralds a new era of choice. Why? Because this exceptionally classy 3-piece ball has been designed specially for golfers who don't possess Tour level swing speeds but who are looking for many characteristics that a Tour ball provides. Building on the success of the AD333 brand, the UK’s number one 2-piece golf ball since 2007, and with a tour-inspired design, the AD333 Tour’s 3-piece construction features a super-soft urethane cover. This makes the AD333 Tour ball the ideal option for ambitious players looking to take their game to the next level with a ball that gives Tour-level precision by combining distance, control and feel. It's a bit like a 2-piece ball in the sense it has a solid rubber core. The cover on a 3-piece is a soft, synthetic plastic, much softer than that on 2-piece allowing slightly better golfers to impart spin on the ball in order to control it through the air and on the greens. The third piece of the construction comes in between the core and cover. A layer of enhanced liquid rubber is added around the core adding another layer to the design and increasing the spin that is placed on the ball. 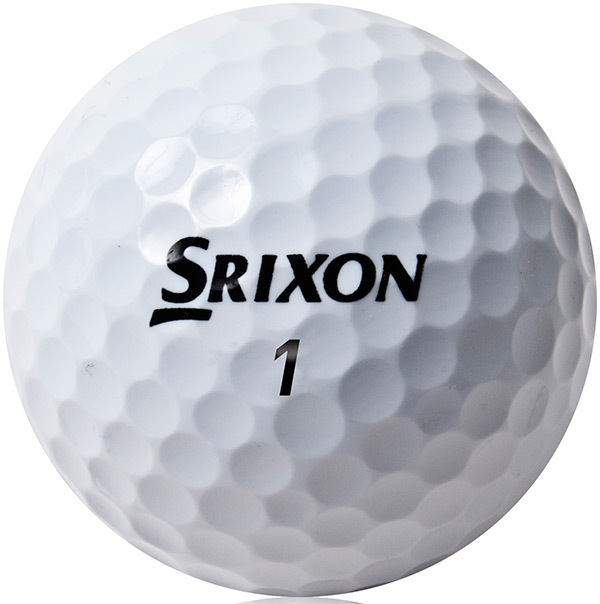 First things first, I love the fresh new look of the Srixon AD333 Tour. It's bold and in your face with the Srixon stamp at the front and neat AD333 Tour logo on the side, which I think aids terrific alignment especially when putting. It just inspires confidence when placing it on a tee peg. The black, white and blue sleeve also looks very neat. In terms of feel, AD333 Tour delivers everything I'd expect, especially when learning more about the ball's new Spin Skin Technology proprietary coating as first produced on the brand's successful Z-STAR range. According to Cleveland Golf/Srixon's Product Manager Dean Cracknell, Spin Skin Technology improves friction between ball and club surface by as much as 20% for added feel and better control with the scoring clubs. I quickly saw that for myself when looking closer at my wedge shot data. Carry distance with the 52-degree was as expected at around the 100-yard mark but spin rate was pleasingly up to around 9,700rpm from my normal 9,000. Not quite a 20% increase in spin but plenty for me to get excited about! Even placing balls in the rough out on the course, balls tended to drop and stop much better than I'd anticipate from a 3-piece. I wouldn't say I'd increased too much driver distance with the AD333 Tour, with drives averaging around the 220-yard carry mark but they certainly ran out well by some 35 yards to around the 255-yard mark on average. I hit the ball relatively low anyway so I tend to get few scampers. Low driver spin was ascertained thanks to Srixon's new and advanced 344 speed dimple pattern that promotes the low driver spin, as well as the company's innovative Energetic Gradient Growth Core Technology that gives the core a firmer outer region that becomes progressively softer toward the centre. Right now, you need a ball that delivers in the wind, and the AD333 Tour delivers on that front too. The soft mid layer combined with those 344 dimples helps to generate a consistent, penetrating ball flight no matter the weather conditions. I felt like I could play low shots under the wind with ease and knew that if I did want to hit a high towering wedge with wind off the right, the ball would do exactly as I intended it to. For me, AD333 Tour is a ball for players of all abilities. If you're looking to upgrade to the AD333 Tour or AD333 balls this year, I'd certainly recommend getting yourself custom fit to either ball to ensure you're playing the correct ball for your game. AD333 Tour is solid off the tee, looks and sounds great, but it's the opportunity to create added spin that gets me most excited here and the Spin Skin Technology, I believe, separates this ball from its rivals in the 3-piece market right now. It's one of the softest feeling balls I've played for some time with a wedge in hand and I'd be more than happy to stick a sleeve of black and blue in the bag this year. I also thought it felt nice and soft off the putter face and gave me ideal feedback when hitting one off the heel or toe. It's a nice 'pop' off the face and that only inspires confidence, especially with the alignment aid I mentioned earlier. Retailing March 1 at RRP £36 and in Pure White only, AD333 Tour represents decent value for money, too. Well worth a look if you're looking to get involved with Srixon this season.